Luxurious shaving, for him and for her. 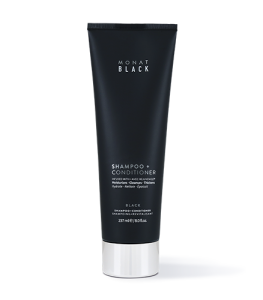 To learn more about MONAT BLACK Cream Shave, please contact your MONAT Market Partner. 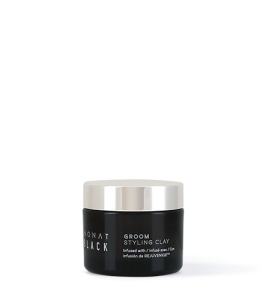 A rich and soothing cream shave that leaves skin smooth, sleek and revitalized. Provides a close, comfortable shave. Helps to soothe skin. Moisturizes skin making it feel silky, never greasy. Women love it, and men live by it—now with rosemary! It’s a routine you do every (or every other) day; why not make it enjoyable? Avoid cuts and nicks with our ultra-rich cream shave. Enriched with soothing aloe leaf, it’ll leave your skin feeling sleek, smooth, and revitalized. Sure, it’s thick, but it’ll never leave you feeling greasy. And it’s just as wonderful for the ladies. Apply and smooth across skin. Helps to soothe and cool skin. 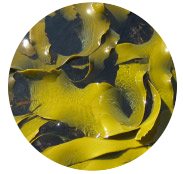 Water, Stearic Acid, Glycerin, Cetyl Alcohol, Heptyl Undecylenate, Cocos Nucifera (Coconut) Oil, Glyceryl Stearate, Brassicyl Isoleucinate Esylate, Potassium Hydroxide, Aloe Barbadensis Leaf Juice, Limnanthes Alba (Meadowfoam) Seed Oil, Crambe Abyssinica Seed Oil, Camellia Oleifera Seed Oil, Solanum Lycopersicum (Tomato) Seed Oil, Daucus Carota Sativa (Carrot) Seed Oil, Citrus Medica Limonum (Lemon) Peel Oil, Citrus Aurantifolia (Lime) Oil, Citrus Aurantium Bergamia (Bergamot) Fruit Oil, Adansonia Digitata Oil, Mauritia Flexuosa Fruit Oil, Gardenia Tahitensis Flower Extract, Moringa Oleifera Seed Oil, Caryocar Brasiliense Fruit Oil, Helianthus Annuus (Sunflower) Seed Oil, Cinnamidopropyltrimonium Chloride, Arginine, Brassica Alcohol, Fragrance, Glyceryl Caprylate, Caprylhydroxamic Acid.